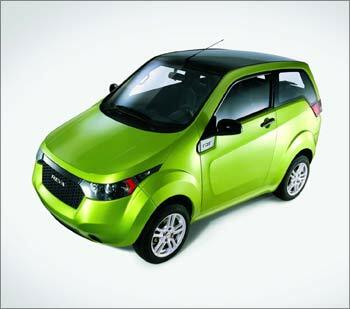 Rediff.com » Business » Have you seen the new Reva electric cars? 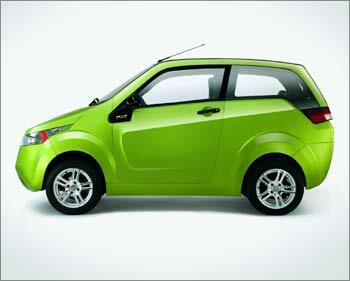 Have you seen the new Reva electric cars? 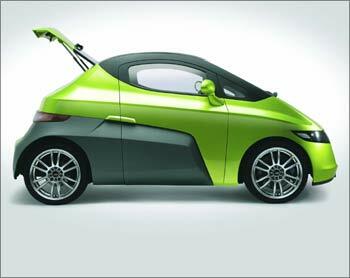 The Bangalore-based Reva Electric Car Co unveiled two new models, one of them designed by India's celebrated auto designer Dilip Chhabria, at the 63rd Frankfurt International Motor Show on Thursday. The production of the second model -- Reva NXR, which is a four-seat, two-door hatchback -- will commence in early 2010. Also being unveiled for the first time is Reva's showcar, the REVA NXG (NeXt Generation), which is the company's 2011 model. 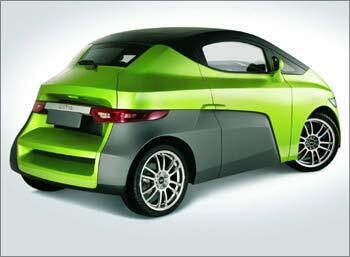 The Reva NXG (shown here), designed by Chhabria, is a sporty two-seater and will go into production in 2011. Photographs: Courtesy, Reva Electric Car Co. 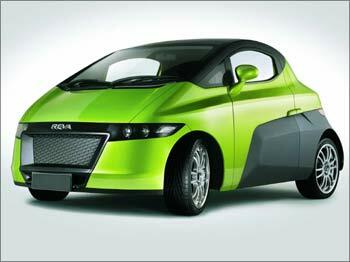 The Reva NXR (NeXt Reva) is a new lithium-ion powered electric car from Reva Electric Car Company. It is scheduled to go into production in early 2010. Reva NXR is a M1 category three-door, four-seater hatchback family car that is suitable for urban driving. Top speed is 104 kph (65 mph) with a range of 160 km (100 miles) per charge. If using the 90-minute fast charge (normal charging is eight hours), the Reva NXR offers an effective range of 320 km a day. A fast charge for 15 minutes will provide a 40 km (25 mile) range. The Reva NXR has keyless entry and operation, dual charge ports, intelligent digital display and a range of telematics. These include SMS alerts and commands such as distance-to-empty and time-to-full charge, remote cabin heat/cool, a monthly eco-drive check by email, service and insurance alerts, remote diagnostics and healing and REVive remote emergency charge. 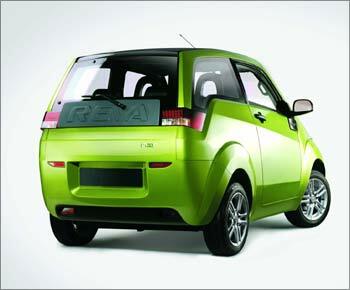 Have you seen the new electric car from Reva? REVive is exclusive to Reva and acts like an invisible reserve fuel tank and addresses 'range anxiety'. If a customer runs out of charge, they can telephone or SMS Reva's customer support centre. The advanced telematics feature will assess the car's batteries remotely and activate a reserve amount of energy while protecting the battery life. Within minutes, a few extra kilometres of range are made available via the telematics and the driver can continue home or to a place where the NXR can be charged. Prices of the NXR will vary across Europe and India depending on taxes and subsidies. Customers will be offered the option of purchasing the car and batteries separately, or at an all-inclusive price. If bought separately, the benefit will be a lower purchase price, with the batteries paid for on a monthly basis -- just like petrol -- as part of a monthly mobility fee, which could also include electricity, telematics and other services. Average prices in Europe, excluding batteries, will be around Euro 14,995 for the lithium-ion NXR Intercity version. The REVA NXR City, with lead acid batteries that has an 80 km (50 mile) range and a speed of 80 kph (50 mph) is also available from Euro 9,995 and a small monthly mobility fee. The prices of the REVA NXR for India will be announced in January 2010. Flying car? Here's what it is like! It's raining cars on Indian roads! What the Tata Nano is like: Owners speak! Mangoes for the US, but Harley-Davidson for India! Car loan default: What, when and how?